Are you ready to get down, get down, get down? Well, you can’t get down tonight until you have some hip and happening threads. 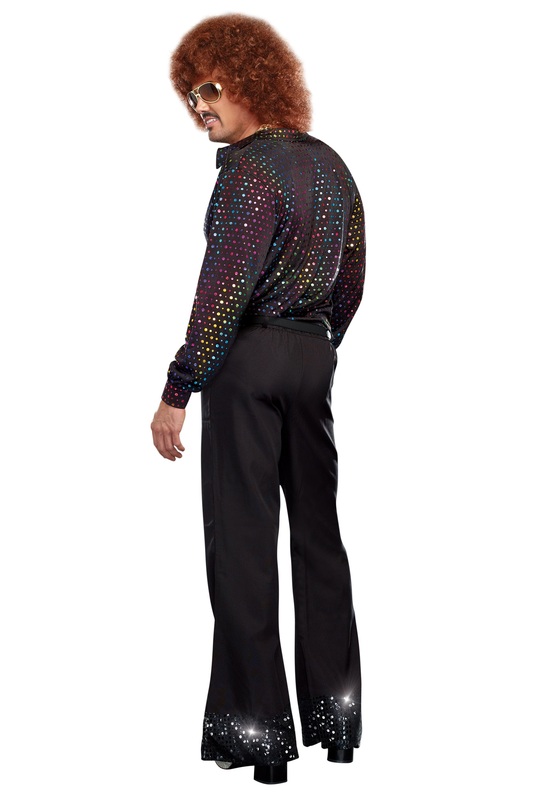 Check out this groovy Disco Dude Shirt, my man. 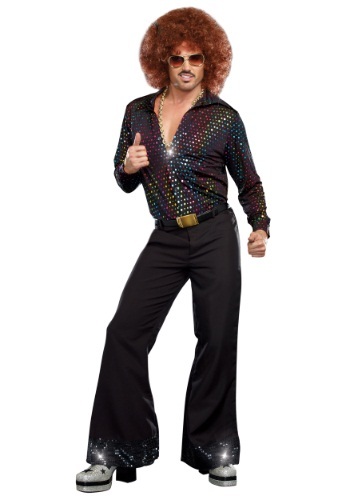 It’s exactly what you need to give everyone a bad case of disco fever! Once you toss on this wide wing collared shirt you’ll be more than ready to do the Hustle and the Bump all night long. You may even feel confident enough to bust out the Funky Chicken! All you need is a stellar pair of bell-bottoms and some kicking disco footwear and your transformation will be complete. You’ll look as if you just entered our time from the golden age of disco. Enter every room with the classic Disco Point and get the party started. You may not look like you’re in the right decade but you’ll certainly look more than ready to party! Don’t forget to grab a funky fresh afro wig and a little bit of bling, and you’ll have the most banging Halloween you’ve ever celebrated.